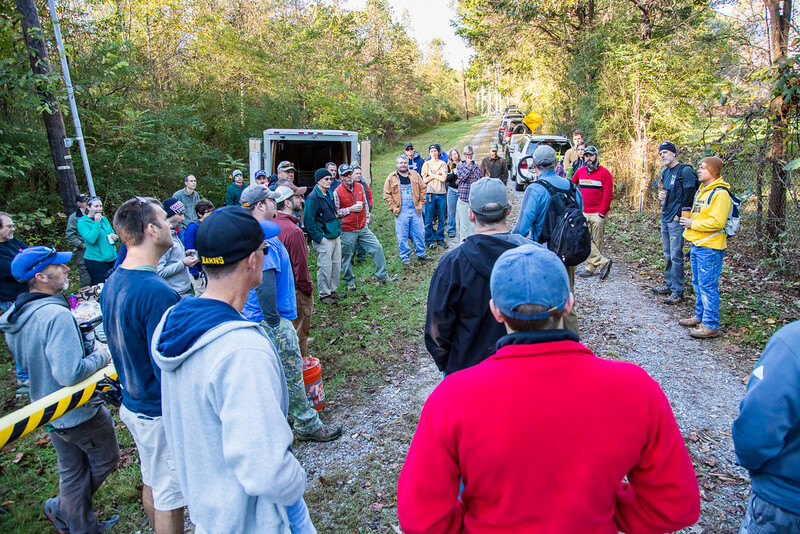 Explore Oak Ridge and the Appalachian Mountain Bike Club invite you to participate in a Trail Building Day within the Oak Ridge’s North Boundary Greenway System on Saturday, Nov. 18, from 9 a.m. to noon. Participants will assist with completing the new Boulder Trail, which was made possible by an trail easement that the Department of Energy granted to the Legacy Parks Foundation. Located in west Oak Ridge, the planned 1.5-mile-long trail, named after several large boulders at the site, will complement the recently completed Sinkhole Trail. These trails enhance an already popular hiking, biking, and running destination in the North Boundary Greenway System. The new Boulder Trail will be a multi-use trail that extends from Wisconsin Avenue near its intersection with Whippoorwill Drive to Big Oak Trail, which in turn extends to a Department of Energy gravel road that intersects with Oak Ridge Turnpike. The new Boulder Trail is a great asset to the numerous outdoor activities that the Oak Ridge community has to offer and will add to the nearly 90 miles of trails, paved greenways, and rugged hiking paths in Oak Ridge, including more than 36 miles of trails in the 800-acre Haw Ridge Park.